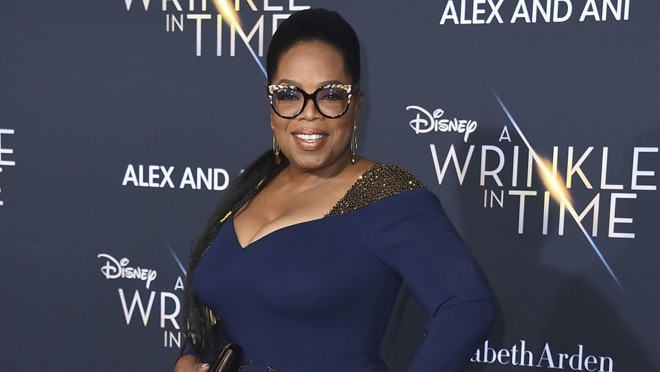 Oprah Winfrey has made an important move in a multi-year deal to develop original programming for Apple, by hiring Terry Wood, formerly from Netflix, as an executive vice president of Harpo Productions and put in charge of working on the content. In her new role, Wood will be overseeing production on new shows made by Oprah's production company for Apple's original video content project. Wood will report directly to Winfrey in her role heading up the digital media effort. "Terry has broad experience across the media industry and an extensive knowledge of what connects to viewers in a meaningful way," Winfrey told The Hollywood Reporter. "I look forward to working with her as we create content for Apple that can impact people around the world." Few details about the deal are known, aside from an Apple statement in June 2018 advising the partnership "will create original programs that embrace her (Winfrey's) incomparable ability to connect with audiences." Wood's previous role at Netflix lasted four years, overseeing the launch of weekly content on a service known for putting all of its content up in one go. As part of her job, she saw the launch of "Comedians in Cars Getting Coffee," and talk shows by Chelsea Handler and David Letterman. Before Netflix, Wood worked at CBS Television Syndication/King World for 13 years, where she helped launch the Oprah Winfrey Show sister series "Dr. Phil." "This incredible opportunity to once again work with Oprah is truly a full circle moment," Wood claims. "I am invigorated by this new partnership between Oprah and Apple and will bring my full range of experience to create inspiring and entertaining content." The Oprah deal is a lot more serious than I thought. I thought Oprah was hired as a single personality. Didn't know Harpo was handling her Apple show(s). Did Apple acquire Harpo or something? They're really going all out for Apple haha. *Yes I know Harpo is Oprah spelled backwards and is owned by Oprah. That's not the point. Apple is really going all in to be a major entertainment network. Really not happy about this. I don’t think Apple should be doing any content creation. Netflix used to be one of my favorite services, until they started launching content that was at total odds with my tastes and politics. I canceled my Netflix a couple months ago, and I’ll never go back. They lost me as a customer. I’ve been a die-hard Apple fan for life. If they start polarizing their fan base it will not end well for them. I can’t stand Oprah. Look into the controversy surrounding her school for girls in South Africa. Does Apple want her to represent them? It’s a terrible idea. Way worse than Ping. I'm so glad I'm not inside your head. I anxiously await the rollout of Apple's full TV offerings. This Harpo move gives me confidence that it may surprise a lot of us naysayers. As does the A24 deal and a few earlier deals. I don’t think Apple is worried about it. They are a progressive firm. Question tho - when Netflix offered programs that, uh, were at odds with your politics (? ), did they also force you to watch them? So confused. Netflix held a gun to your head and made you watch content you didn't want to see? Also, what does the horrible stuff that happened at her school have anything to do with Oprah herself, or more importantly her television programming in development? What a reality to live in. If you are unhappy with Netflix's politics, just wait until Apple and Opera start making trash. There will be zero white people in any movie set in the future, as our extinction is a forgone conclusion for the left. You will be a minority by around 2045 or so though. Statistics aren't a "left" thing.